What if just by making one change in your habits, you could double your weight loss? It may sound too good to be true, but many experts say that the simple act of keeping a food diary can encourage you to eat fewer calories — and thus lose weight. The success of the food diary for successful and long lasting weight loss has been astonishing. Several studies have shown that people who keep food diaries are more likely to be successful in losing weight and keeping it off. In fact, a researcher from one recent study says that people keeping a food diary six days a week lost about twice as much weight as those who kept food records one day a week or less. For the six-month study, published in the American Journal of Preventive Medicine, dieters kept food diaries and were encouraged to eat a healthy diet and be active. So how does entering what you eat and drink into a food diary work this kind of magic? For one thing, keeping a food diary instantly increases your awareness of what, how much, and why you are eating. This helps you cut down on mindless munching. Food diaries also help people identify areas where they can make changes that will help them lose weight. For example, people don’t realize how many calories they are obtaining from caloric beverages and snacks, and these can be easy interventions … that can help reduce calories. Food diaries can unveil patterns of overeating. They can also reveal identify triggers to avoid, such as not eating enough throughout the day and then overeating at night, or overeating when drinking alcohol and even emotional eating triggers. For some people, the very fact that they have to record every bite helps deter overeating. My members often reconsider eating something because of not wanting to write it down. Here are some tips on how to make a food diary work for you. If you know what you hope to gain from your food diary, you can make sure you’re recording the type of information that will help you in that area. Be clear about your intent, whether it’s to become aware of hidden food triggers, notice problematic eating patterns, or just make sure you are eating a healthy diet. I have a lot f members who do not need to lose weight but use the services as part of their fitness regime i.e. use the food diary to track their food intake and keeping their fat levels to a minimum. You can fill out your food diary as you go throughout the day, or set some time aside at the end of the day to update it. Ideally, your record will be more accurate if you do it right before or after eating. It is important to record everything – even if that seems painful. It can be tempting to avoid recording an unplanned indulgent dessert or binge episode, but this is the most important time to record. Something to watch out for: As time goes on, dieters tend to become more lax about how often they update their food diaries and go longer after eating or drinking before logging the information and some start to enter in less. This leads to inconsistencies and therefore can halt their weight loss. If you’re just trying to get a general idea of what, when, and why you are eating, this tip may not apply to you. But if you want to get a precise picture of your intake, make sure the amounts you record in your diary are as accurate as possible. Measuring out your portions can help give you a picture of what a normal serving size looks like. I advise my clients to measure portions regularly at first, and then on occasion after that. The more thorough you are when recording what you eat — that handful of M&Ms at the office, the mayo on your sandwich, the sauce on your entree — the more ways you’ll eventually find to cut those extra calories. When you look back over your food diary records, look for those nibbles and bites that can really add up. Did you know that 150 extra calories in a day (that could be one alcoholic drink or a slather of spread on your bread) could result in a 15- to 18-pound weight gain in one year? Are you embarrassed or ashamed about your eating? Do you have a sense of hopelessness, feeling that it won’t help to fill out a food diary or that weight loss is impossible for you? Does it seem too inconvenient to enter what you eat/drink? Do you feel bad when you “slip up”? These are the four most common obstacles to keeping a food diary. What’s the cure? “All of these obstacles can be overcome by remembering the usefulness of the diary, not trying to be perfect, acknowledging that slips will happen, and staying motivated to use tools that promote health and well-being. Food diaries are most helpful when you look back and review what you enter. You can do this on your own or with can look at your diary and help point out patterns that are keeping you from losing and suggest alternatives to try. The act of acknowledgment and reflections is the most important piece. 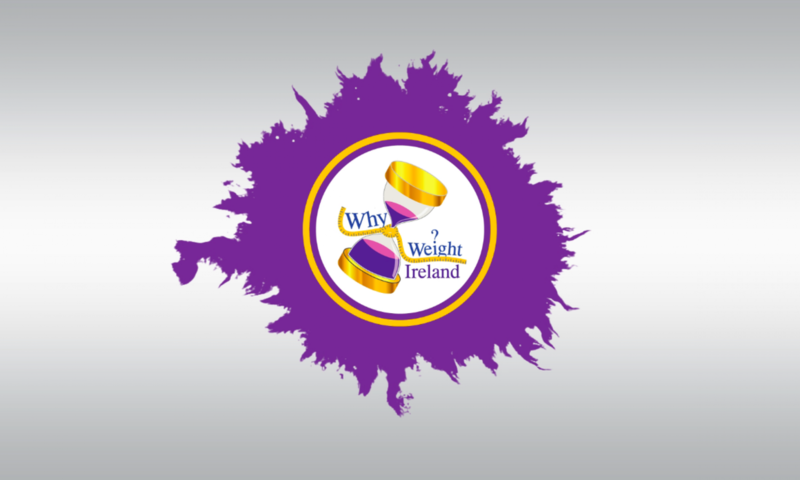 With the combination of the Why Weight Ireland food & exercise diary, fitness plans, online fitness videos, Facebook support group and of course the personal support, all of these lead to a successful and long lasting weight loss. As I have always said, “it’s not just a diet, it’s a new way of life, and that is what Why Weight Ireland is all about.